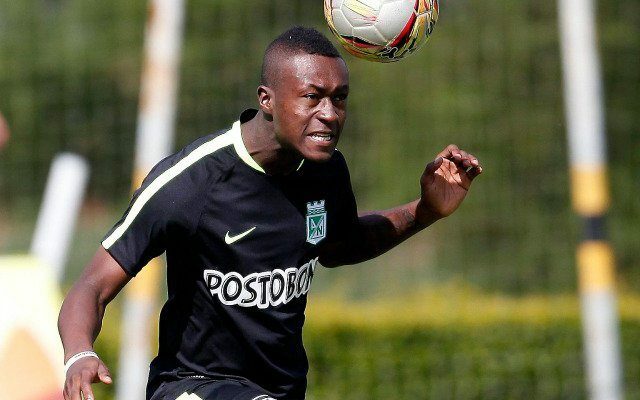 19-year-old Colombian attacker Marlos Moreno has been linked with a transfer move for quite some time. Now that a move to Manchester City appears to be close to completion, Moreno’s club ambitions could result in a conflict with his international duty. According to the Metro, Colombia’s Olympic team coach Carlos Restrepo grudgingly confirmed Man City’s signing of Moreno, but explained that his signature for the Citizens has also resulted in an inability to play for the team in the Rio 2016 Olympics. “Marlos is going to Manchester and Manchester will not let him play,” Restrepo said. Per the source, Moreno’s transfer fee is expected to be worth £8.23 million. Moreno set a club record this past year by scoring a goal for Atletico Nacional against Atletico Junior in just 30 seconds. In two seasons with the club, he has five goals. He was also the only teenager selected to Colombia’s Copa America Centanario roster this past June, making four appearances and scoring a goal against Costa Rica as the country finished third.